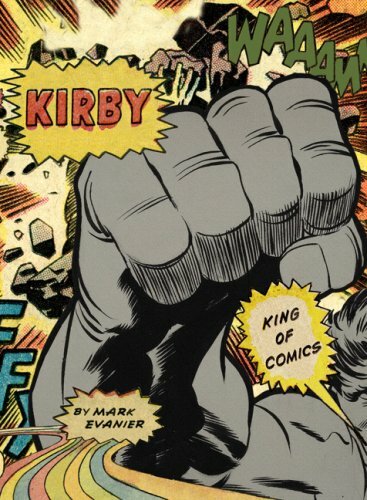 Badass Hall of Fame: Jack Kirby | Birth.Movies.Death. From Captain America to Darkseid, the entirety of modern superhero stories owe a debt to Jack Kirby. And his immense influence extends well beyond the four color pages, deep into the heart of American pop culture. As THE AVENGERS opens we pay tribute to the genius behind it all. Jack Kirby did not invent the superhero, but he perfected it. Rightfully called “The King of Comics,” Kirby was a singular visionary whose impact on the pop culture continues to be felt almost two decades after his passing. Born Jacob Kurtzberg on New York’s Lower East Side (probably not far from Ben Grimm’s Yancy Street), Jack began drawing at an early age. He was the son of Austrian Jewish immigrants and lived in poverty; art was his escape. 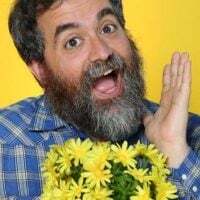 In his teens he began doing it professionally for a number of magazines and comic strips and advice comics (they existed back in the day) before meeting and collaborating with fellow cartoonist Joe Simon. Simon knew that Jack’s work was remarkable, and together they started working at Timely Comics. Jack had been working under numerous pen names, but he decided to stick with Jack Kirby, supposedly because it reminded him of Jimmy Cagney. At Timely Simon and Kirby created one of the great icons of comic books: Captain America. In many ways the character was a riff on a rival company MLJ’s The Shield (so much so that Cap’s badge-shaped shield (which looked like The Shield’s chest plate) was changed to round in issue 2 of Captain America Comics after legal rumblings from MLJ), but Captain America grasped the imagination of the country in a totally different way. The comic was soon outselling Time Magazine. Simon, who hatched the character, was going to bring in more artists to help Kirby, but the young artist insisted he could handle the workload. And so was born Jack Kirby’s famous speed; the artist would be known for penciling as many as 15 pages in a week. What happened next would prove prophetic for the rest of Kirby’s career: the team felt mistreated by Timely, and so they left the company after Captain America Comics #10, going to work for rival publisher National. These two companies, by the way, would one day be known respectively as Marvel and DC. While at National they revamped existing characters like Sandman and Manhunter and also staked their own territory with the boys own adventure titles Boy Commandos and The Newsboy Legion; the Legion especially seemed plucked right from Kirby’s own life on the Lower East Side, hanging out at the Boys Brotherhood Republic. War was on the horizon. Captain America had been Simon and Kirby’s very political stand on the European situation (they actually received hate mail for having Cap punch Hitler on the cover of issue one), and they knew they were going to get sucked into the destruction overseas eventually. National had them squirrel away a whole year’s worth of comics for the very likely event that they get drafted. In 1942 Kirby legally changed his name from Kurtzberg and married Roz, who would be the love of his life. In 1944 Jack ended up overseas, landing on Omaha Beach a few months after D-Day. When his commanding officer discovered that Jack had artistic talent he made him a scout, sending him forward to German-occupied town to sketch out maps. Jack fought in the Battle of the Bulge, but it wasn’t the Nazis that took him down, it was the cruel winter. With frostbite on his legs, Kirby was shipped back to England, expecting to have his legs amputated. Luckily they were saved, and Jack went back to the States with the Combat Infantryman Badge and a bronze battle star. Jack Kirby comes home to Brighton Beach, Brooklyn in 1945. After the war Jack got back together with Joe Simon and they continued revolutionizing comic books. Together they invented the romance comic, which would sweep the medium as superheroes mostly faded away. Jack was never a big fan of horror stuff, and so he rarely worked on the types of comics that we most associate with the 50s, but he did get into some very 1950s territory. Simon and Kirby created Captain 3D to cash in on the 3D fad, and when Atlas (the new name for Timely) resurrected Captain America the duo fought back with The Fighting American, a patriotic hero whose politics reflected Kirby’s own left wing beliefs (to the point that the Fighting American satirized Joe McCarthy and his House UnAmerican Activities hearings). Simon and Kirby started their own comic company, Mainline, which published four titles (tellingly, none of them were superhero comics). But there were money troubles, and this strained the relationship between the old friends. Eventually the partnership broke up and Joe Simon left comics to work in advertising. Jack Kirby freelanced around, hitting up National again where he co-created Challengers of the Unknown, very much a dry run for the Fantastic Four. The next phase of Jack’s career was about to begin. While he had already put himself in the history books with his previous work, Kirby was gearing up to utterly change the face of pop culture forever. He ended up at Atlas, where he began working with editor-in-chief Stan Lee. Lee and Kirby had crossed paths before - Lee’s first published comic work was a text fill-in feature in Captain America Comics #3 - but it was now that their genius would bloom. Jack’s 12 year run at the company began in 1958. He worked in every genre at Atlas, but he really took to the giant monster books. His imagination was allowed to go crazy creating enormous kaiju to wreak havoc for one issue of titles like Strange Tales, Strange Worlds and Journey into Mystery. Creatures like Droom, Fin Fang Foom, Robot X, Mechano, Zarkorr and dozens upon dozens more. The style that we would know as Kirbyesque truly came into its own here, with blocky, dense creatures engaged in exciting action. And then the Fantastic Four. National, now DC, had revitalized the dormant superhero. Martin Goodman, publisher of Atlas/Marvel saw the sales figures for the Justice League of America and told Stan Lee to create his own team of superheroes. But rather than ape exactly what DC was doing, Stan got together with Jack and created something that revolutionized sequential storytelling. There’s no way to hyperbolize the impact of what these two guys did with The Fantastic Four. The mixture of naturalism and family dynamics in the story and Jack’s startlingly kinetic art and unfettered visual imagination revolutionized the industry. There’s a lot of back and forth about who created what character or came up with what story, but it seems like the truth of the matter is that neither man could have done it on their own. What followed was a spate of creativity unrivaled in modern storytelling. Kirby created or co-created a mind-boggling array of characters: Thor, Iron Man, the original X-Men, The Silver Surfer, The Hulk, the Inhumans, Galactus, Black Panther, and more. Magic was being made daily at the Marvel offices, and they weren’t kidding when they called it The House of Ideas. All of his years working in the industry allowed Jack to take the conventional artistic wisdom and throw it away. He was already a master, and as the Marvel Age began he transcended even that. His figures were stocky and thick, but fluid and graceful. Comic book art had always had a certain stiffness, a sense of posed figures unmoving. Kirby exploded that; tired of doing things the old way he started bringing his characters off the page right into the faces of young readers; the borders of the panels and the edges of the pages could barely contain the nuclear power of his imagination and style. Jack Kirby didn’t just revolutionize the way comic book artists drew, he also revolutionized the kinds of stories being told. As the 60s dawned this WWII vet from the Lower East Side found himself weirdly in tune with the expanding consciousness of the youth movement. Jack had done soldiers and kissing and big monsters; his sights were set higher. He looked towards infinity, at ageless gods in mighty mythologies. He found the micro in the macro - the enormous eternals and omnipotent beings he envisioned had the same heartbreaks and personal problems that readers had. The bigger the canvas the deeper the feelings. Cosmic spectacle served only as backdrop for deep emotion and deeper philosophy. As the readership breathlessly ate up every panel of extraordinary power and mayhem Jack produced, he began to test the boundaries of the medium itself. He had been drawing comics for thirty years now, and he was tired of the tried and true. Jack started playing with photo-collages, and he invented what is now known as Kirby Krackle, an extraordinary effect pulsing with cosmic power that defines his late period Marvel work. Kirby Krackle in full effect! History, as always, repeated itself with Jack Kirby. He found himself once again unhappy with his situation. This time he began to resent the way Stan Lee hogged the spotlight, and the way that he didn’t get credit as a co-writer on stories (the ‘Marvel style’ of scripting usually went like this: Jack and Stan would hatch a concept, Stan would leave Jack with an outline or, later as Stan got busier, a vague idea, Jack would draw it and Stan would put in the words. That Stan’s collaborators DIDN’T get co-writer credit is a travesty). He didn’t like the direction Marvel was taking and wasn’t happy with his contract. So he left. In 1970 Jack Kirby shook up the comic book world by jumping ship to DC. With him he brought his grandest idea yet - the Fourth World. A huge, sprawling epic of space gods, the Fourth World Saga was unlike anything that had hit comics. Jack had three interconnected books - The Forever People, Mister Miracle and The New Gods - plus he took over Superman’s Pal Jimmy Olson (when he came to DC publisher Carmine Infantino told him he could have any title he wanted. Jack didn’t want to put anyone out of work, so he chose a book without a stable creative team), and there he weaved a whole new mythos that took from everything beginning with Zoroastrianism and going all the way up to motorcycle gangs and hippies. Jack poured everything he had into this new universe... but the readers didn’t exactly take to it. Kirby had always been ahead of his time, but his time had briefly caught up with him in the 60s. The Fourth World lasted three years. The impact of the books, though, continue to this day. Darkseid, the central villain of the Fourth World Saga, remains the biggest bad in all the DC Universe. Many argue (and I agree) that the Fourth World Saga heavily influenced Star Wars. After the Fourth World books were canceled Jack did more seminal work for DC, including OMAC, The Demon and Kamandi: The Last Boy on Earth. By this time Jack was dissatisfied with the basic structure of comic books. He saw that the monthly comic had worn out its welcome, and he was interested in graphic novels or other forms of sequential storytelling. He had tried his hand at black and white magazine style work in 1971, and after a brief return to Marvel (where he created the Celestials, a bedrock aspect of Marvel mythology, as well as the hyper-awesome Devil Dinosaur), Jack moved on to animation and film. It was here, in the late 70s, that one of the strangest episodes in Kirby’s life occured. The CIA was looking to rescue Americans from Iran in the wake of the capture of the American embassy in Tehran. The ruse would be that agents were members of a Hollywood film crew looking to shoot a science fiction movie, Argo, in Iran. Their cover included Kirby concept art for a scifi theme park that never was built. Ben Affleck has a movie based on this strange incident hitting later this year, and Michael Parks is playing Jack Kirby. In his final years Jack kept at it. DC briefly brought back the Fourth World Saga, and Jack created The Hunger Dogs graphic novel to wrap it all up. He was introduced to a whole new generation of kids with his art on the Super Powers comic, tying in with a then-huge toy line. He never returned to Marvel, finally having enough of their bad treatment and refusal to offer health benefits. His last work in the 90s felt a lot like retreads of the Fourth World stories, to be honest. Jack Kirby died in 1994 at the age of 76. But his legacy doesn’t end there. Jack Kirby remains the poster child for maltreated comic book creators; the sweat of his brow created more iconic characters than had ever been seen before, and the owners of Marvel Comics - currently Disney - continue to make dividends off his brilliance. This weekend The Avengers - based on a comic he co-created, filled with characters he co-created - broke worldwide box office records and seems poised to the same in the US. The profits will go into the pockets of people who had nothing to do with the characters. There are arguments to be made that the creators of the time signed their contracts and thus have to live with the consequences; these arguments are fully in the service of evil and exploitation, and anyone making them is evil and exploitative. The contracts were entered into in good faith, and without any idea of how big this stuff would get. It seems crazy that the business guys get all the rewards and the creators get nothing. And all of this is more complicated than it seems, thanks to a 1978 change in copyright law. On top of all that, Marvel held Kirby’s original art hostage for years. You can argue that Marvel owns The Hulk, but there is no place in the contracts that give Marvel the right to keep the actual original drawings that the artists made. When Marvel finally offered Kirby back his original 1960-1970 art in 1984 they returned 88 pages. That’s about one percent of the pages he drew for the company. Jack was very vocal about his dissatisfaction with Marvel, and in many ways he heralded the move to creator ownership that is more the industry standard now. There is truly no aspect of comic books that Jack Kirby did not mightily influence. To look at a Jack Kirby work is to be transported into absolute wonder. His best art is muscular and beautiful, almost overwhelming without being aggressive. That he created such marvels at such an incredible rate is only part of the miracle. And his impact goes far beyond the world of comics; storytelling itself - especially cinematic storytelling - was never the same after Lee and Kirby’s incredible run in the 60s. Comparing those two to Lennon and McCartney is more than fair, and just like the Beatles their influence reverberates in people who don’t even know they’ve been influenced by them. Their work has become a part of the pop culture fabric of America. Excelsior, you warm, wonderful creator of worlds.